GfRS has been a leading certification body for organic production since 1991. Our innovative team comprises 25 staff members and 50 inspectors, who hold different qualifications. It is our conviction that we dedicate our work to the field of organic certification and other reliable sustainability standards. Our highly motivated team engages in the improvement of the quality assurance for agriculture products and food. The effective implementation of credible standards is of utmost priority to us. International communication with control bodies and accreditation bodies as well as with authorities belongs to our daily tasks. 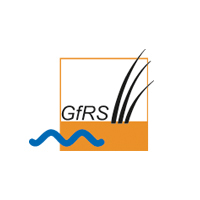 GfRS-experts proves to have long-standing international experience on all levels of quality infrastructure. The implementation of effective and risk-oriented certification programs is one of our core competences. Our inspection and certification services are limited to the member states of the European Union, currently Austria, Germany and Luxemburg. GfRS is a founding member of the Quavera Alliance, an international alliance of certification bodies in the organic sector. Quavera members currently offer more than one hundred food and feed safety and sustainability certification programs under a system designed to achieve global market acceptance. GfRS is proud to be long-standing member of EOCC. We support EOCC through participation in WG Regulation, TF Cross Checks, TF Competence of organic inspectors and TF Risk Assessment. We believe firmly that EOCC may deliver a convincing, strong and common position of control bodies to the organic sector. Be it within the context of national research and development projects, amongst them the German Federal Program for Organic Farming or EU programs, we are committed to the further development of effective and credible certification programs. Hereby, we can profit from the up-to-date know-how of the GfRS certification team.